We’ve known for some time that glyphosate (Roundup) has been linked to cancer, attention deficit disorder, and damage to microorganisms in the soil. It's also harmful to the digestive tracks of wildlife, livestock, pets and people - as well as having strong ties to the increasing presence of autism in children. Here is the latest research confirming the link to cancer. The International Agency for Research on Cancer (IARC) released its finding on March 20, 2015 concluding that there is sufficient evidence of carcinogenicity based on laboratory studies. Here is a link to the Study Summary. 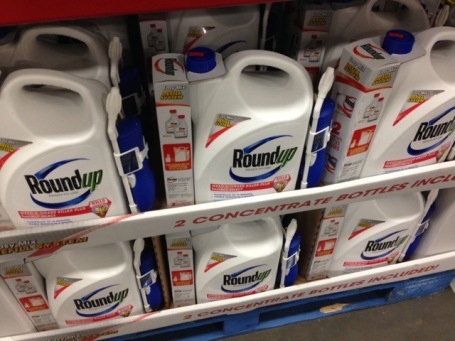 Here is an article including almost 40 links to the dangers of Roundup: Roundup. Enough to Make You Sick. Here is a link on what to use instead of toxic chemicals to kill weeds: Organic Herbicide Information.